Sed is a Professor Emeritus of Education at the University of Maryland, College Park. He earned Bachelor’s and Master’s degrees from Iowa State University and a Ph. D. from Kansas State University. He is senior author of Racism in American education: A model for change (with Brooks), and a measure of racial attitudes, The Situational Attitude Scale (SAS). He authored Beyond the big test: Noncognitive assessment in higher education and has published extensively in professional journals on a wide range of topics including racism, sexism, college admissions, advising, and employee selection. In 1997, he received the research award from ACA for his article entitled “An empirical method of determining nontraditional group status” published in Measurement and Evaluation in Counseling and Development. In 1998, he was named a Senior Scholar by the American College Personnel Association (ACPA) and became a Diplomate in 2003. 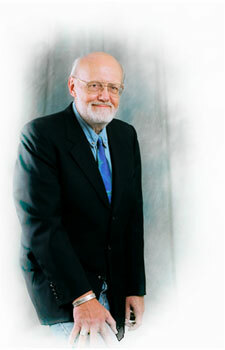 In 2002, he was recognized by ACPA as a Diamond Honoree, for his service and research in student affairs and in 2004 he received the Contribution to Knowledge Award from ACPA for "outstanding contributions to the profession’s body of knowledge through publications, films, speeches, instructions, tapes, and other forms of communication." In 2005, he received the Campus Model of Excellence Award for “affecting the lives of African Americans”, from the Office of Multi-Ethnic Student Education at the University of Maryland. In 2010, he was made a Fellow of the American Counseling Association for "significant and unique contributions to scientific achievement in the counseling profession." In 2011, he received the William R. “Bud” Thomas Mentoring Award, for excellence in sustained, developmental mentoring of graduate college student personnel students, from the College Student Personnel Program- College of Education at the University of Maryland. His latest book is "Measuring Noncognitive Variables: Improving Admissions, Success, and Retention for Underrepresented Students".